V2 - same sound - smaller box! This is a combined Pedal offering you our take on the very best versions of the Sixties silicon Fuzz (Think Smiley) and Rangemaster style silicon treble booster in one pedal. V2 - same sound - smaller box! 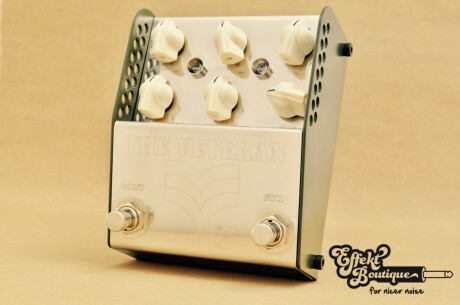 As the third Pedal in our "Vintage Reimagined" Series ThorpyFX presents the Veteran (Silicon) NATO Edition. This is a combined Pedal offering you our take on the very best versions of the Sixties silicon Fuzz (Think Smiley) and Rangemaster style silicon treble booster in one pedal. 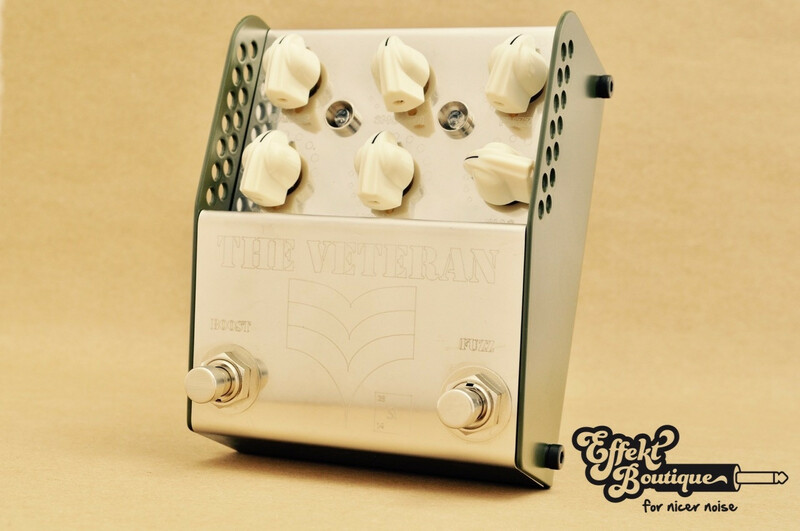 Sonically we have made this pedal identical to vintage units however the Veteran (Si) is quieter and much more flexible than the original units. Runs with a standard center negative 9V DC Powersupply (not included).